We are former educators with 70 years of combined experience with children. We are members of the Little Theatre of Fall River with over 25 years of on-stage experience. Mrs. Claus reads stories, leads sing-a-longs, plays Victorian parlor games, and does crafts with the children. Santa gives children individual attention during one on one time, tells stories about the North Pole, and distributes gifts. Our costumes are top of the line. 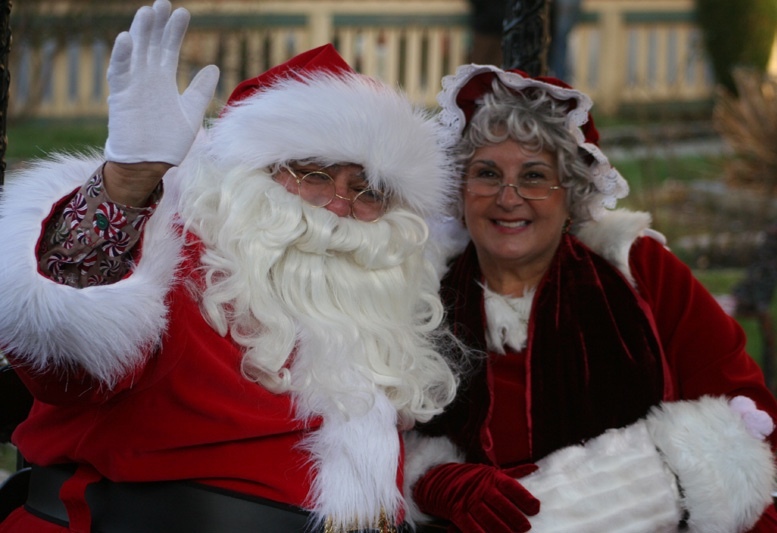 Santa's suit was custom made by a theatre costumer, and Mrs. Claus has unique accessories to compliment her stunning outfit. Our credits include work with the Fall River Historical Society, local schools, libraries, museums, parades and tv shows. Rave reviews! 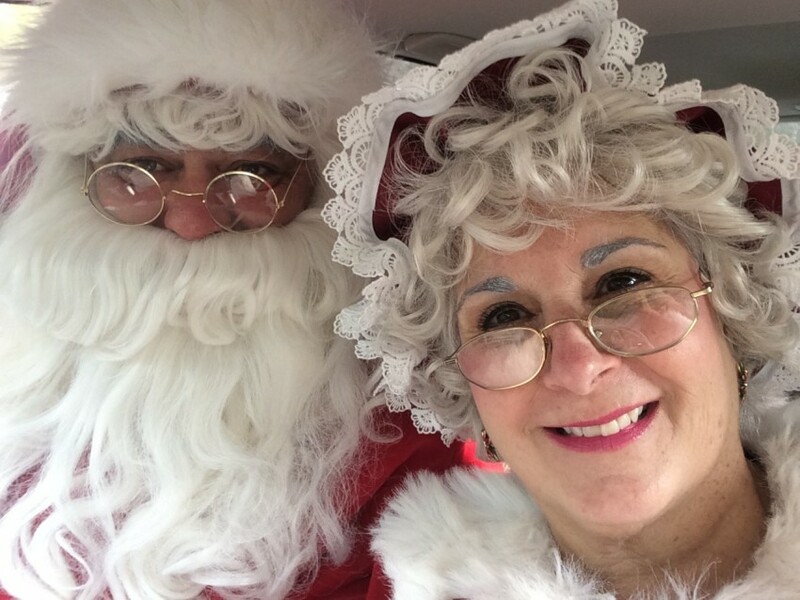 Santa & Mrs. Claus made it the Best party ever! 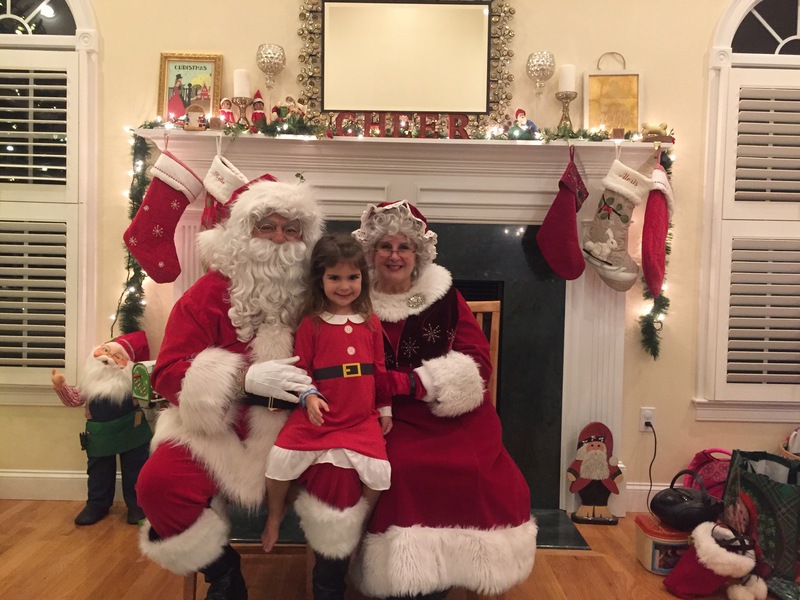 Santa and Mrs. Claus were wonderful at our family party. They looked amazing. Our 10 grandchildren, ages 2 months thru 10 yrs, were captivated by them. They arrived promptly at our restaurant venue, and were most accommodating, stayed til they took pics of every person. Mrs. Claus read stories, sang songs, every child never took their eyes off of them. Santa passed out presents to all kids (provided by us) and at the end, gave each a candy cane, and even gave me a Christmas book. Mrs. Claus certainly knows how to speak to children. She also recounted Christmas traditions, and Santa’s route, etc. I can’t wait til next year. They were the highlight of the party, for young & old alike! Santa and Mrs. Claus were absolutely wonderful. Their communication before and after the party was great. They arrived on time and the children were so excited! Mrs. Claus read stories and explained holiday traditions. The children and adults were engaged in singing Christmas songs together. 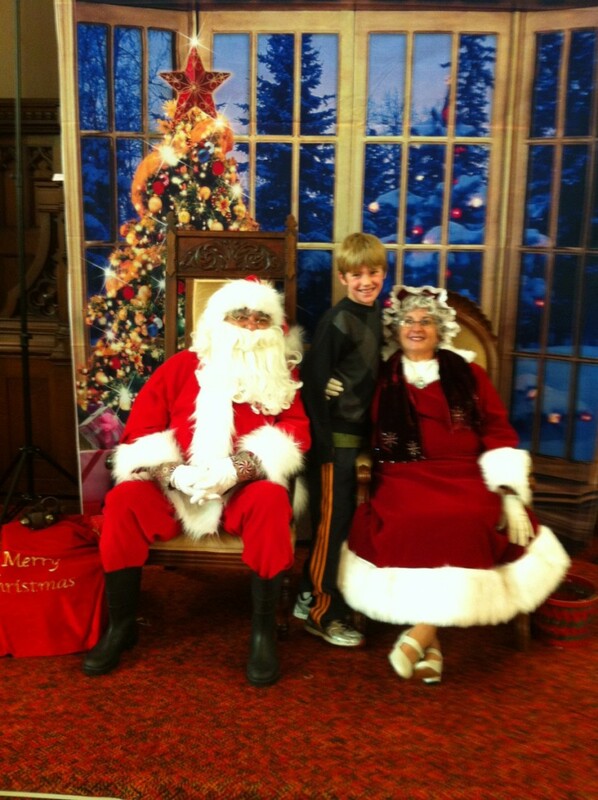 Each child (and family) were able to take pictures with Santa & Mrs. Claus. My girls are thrilled to have a special book given to them by Santa and Mrs. Claus as well! Every parent has told me their children have not stopped talking about the special visit. Thank you so much for making our Christmas party extra special with magical memories for everyone who attended. They far exceeded our expectations. Everyone at the party had a wonderful time. It really put us in the holiday spirit and the stories were very nice and I think we all learned something. will definitely have them back. Thank you very much for your "wonderful" review. We truly enjoyed our visit to your home and sharing the Christmas spirit with you and your family. Wishing all a Merry Christmas and a Happy New Year. I cannot begin to say enough great things about Santa and Mrs. Claus!!!! They were absolutely perfect, down to every detail. Their communication leading up to, during, and even after the party was excellent. They showed up early (after calling to check if that was ok with me! ), and delivered every bit they promised. It was the most special, unbelievable 5th party I have ever seen. My daughter was over the moon and all her friends parents couldn't stop raving about "the best party of all parties!". Mrs. Claus told stories that captivated the children, read books, and they both sang song after song, also involving the kids. They took photos and handed out presents to all the little ones and were truly just so warm and wonderful. It was experience our family will never forget and we are truly grateful to them for their services. I am not sure we can ever have another birthday party without them!! My daughter even accidentally put her blanket in Santa's bag and they were kind enough to contact me immediately and send it back right away!!! So above and beyond. If you want to have an amazing duo, I highly recommend these two. They are a class act! Thank you so much for such a wonderful review, Jodie. 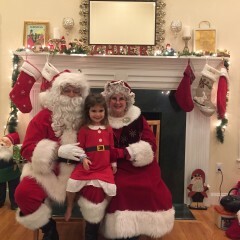 I must admit that Santa and Mrs. Claus also had an absolutely great time at Reese's 5th birthday party and were delighted to see the innocent excitement of the birthday girl and all her little friends. 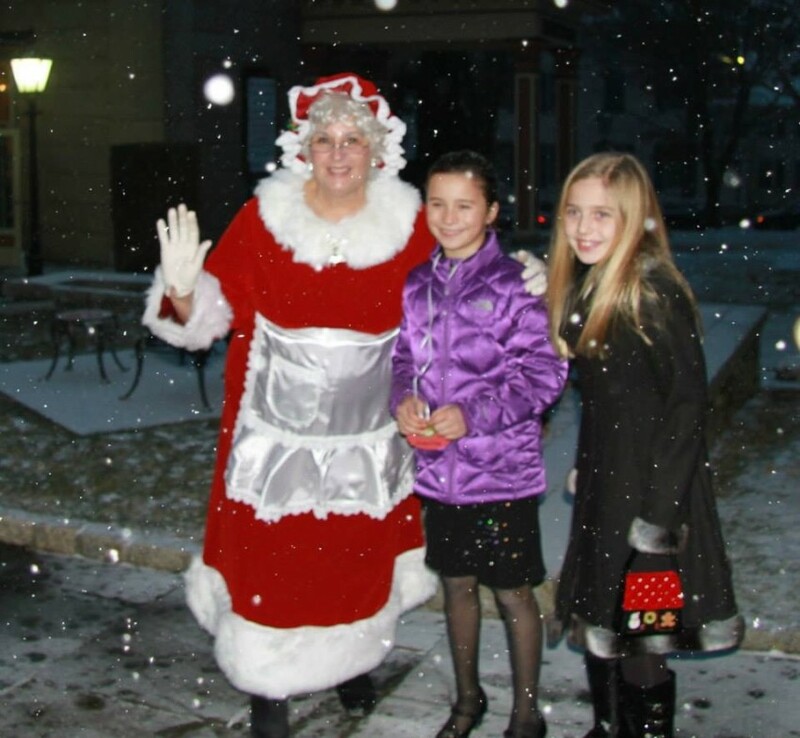 So, thank you very much for inviting Santa and Mrs. Claus to be a part of Reese's special day! And, yes, the blankie is on its way. Santa will arrive with Mrs. Claus at the time designated by the client. Santa will greet all guests, paying particular attention to the children (of all ages). Mrs. Claus reads well-known Christmas stories to the children and, with Santa, leads everyone in singing Christmas carols. 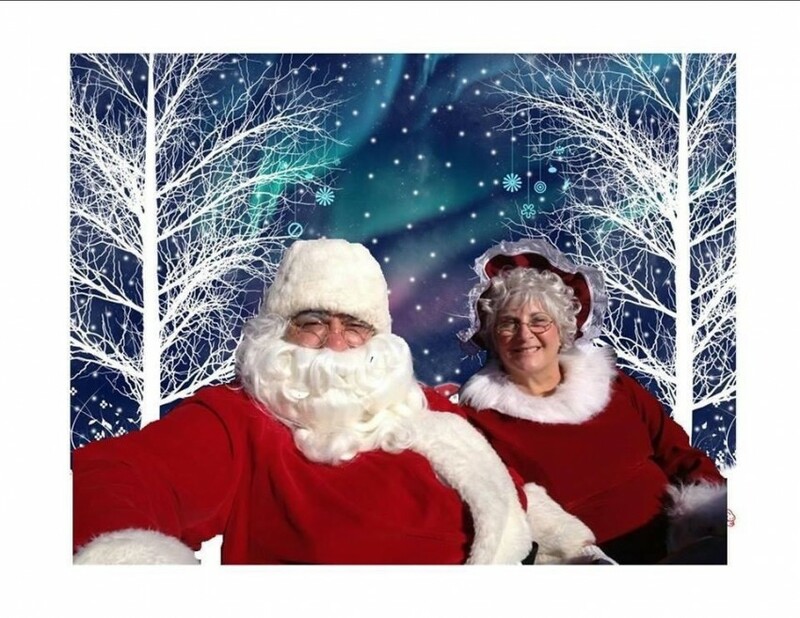 Santa and Mrs. Claus will sit and talk to each child individually providing a photo opportunity for the parents and/or professional photographer. Santa can also deliver any gifts the client may have for the children. Santa will always be flexible with his time in order to provide the client and the children with the very best "Santa experience." Need a electrical plug near where Santa and Mrs. Claus will sit. There should be two comfortable chairs available for Santa and (link hidden)aus. If photos will be taken, it's helpful to go consider the background. We each bring 35 years of orking with children as teachers. In addition, we have both been involved with community theater for nearly 30 years.